Hayley Gilbert needed to transform her life from the inside out. ATTENDING a health and fitness retreat in February was exactly the platform Dawesville’s Hayley Gilbert needed to transform her life from the inside out. Revive Retreats are run regularly in Yallingup and Bali by personal trainer Katie Carmichael and health coach Sarah Breheny, who work in harmony to create an environment that nourishes the mind, body, and soul. They believe it’s not just about smoothies, salads and lifting weights, it’s about balance. Describing herself as “feeling trapped in a vicious cycle” in her life as a Fifo worker, Hayley knew drastic changes needed to be made and hoped signing up for a Revive Retreat was the answer. “It ticked all the boxes for me: luxury, weight loss, no juice detox, small group, short wait and very experienced trainers,’’ she said. Since completing the Retreat, Hayley is lighter in both mind and body. In six weeks she has lost 6kg, as well as enjoying a burst of confidence, motivation and energy – something she said is priceless. “The cost of being unhealthy is more expensive than the cost of a retreat. Claiming she used to be a sugar addict who rarely exercised, she said the Retreat showed her how easy it could be to kick-start a healthier and happier lifestyle. 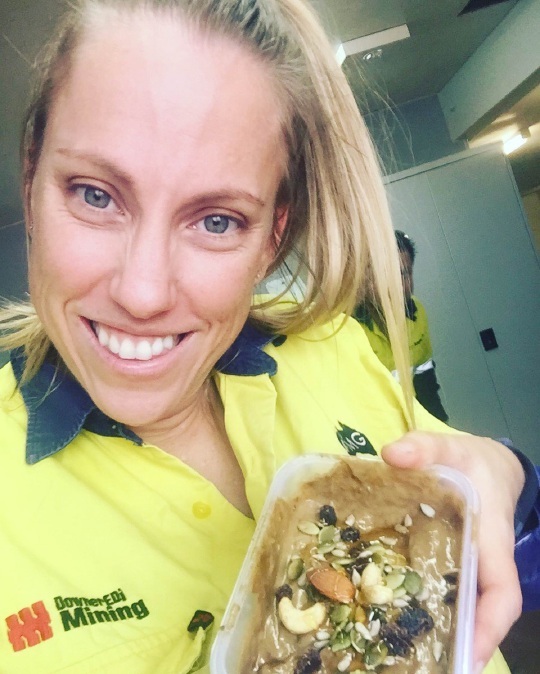 Hayley has since also been sharing her journey and transformation with her colleagues at FMG’s Christmas Creek iron ore mine in the Pilbara. Hayley is a safety manager with Downer Group. “During the Retreat we tried different foods, exercises, and intensity levels so everyone could take away something they liked,” she said. For Hayley, this something was stand-up paddle boarding. “I bought a paddle board straight after I tried it at the Retreat. “Mum and I have swapped our weekly coffee catch-ups for something activity-based. Having seen the incredible results first hand, Hayley’s mother and mother-in-law are attending the next Revive Retreat this month. The retreats are suitable for women of every age, size, ability and fitness level and are hosted about every three months.